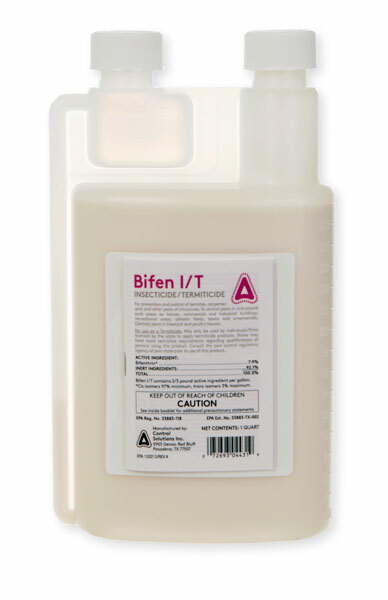 I currently spray bifen monthly as a barrier around the home at 1oz per gallon of water. When mosquitos are really bad I will do a wide barrier around the home, on trees and shrubs with the bifen and an igr. This is done once maybe twice per year. What are your thoughts with rotating the bifenthrin with Lambda-cyhalothrin every couple months to avoid any resistance to the pesticide(s)? Resistance to pesticides only occurs in insects that have a very prolific breeding cycle such as cockroaches, etc. It also occurs when the same chemistry is used over and over and over. Both Bifen and Lambda-cyhalothrin are pyrethroids, So rotating them is useless, They are from the same chemistry family. Rotating Bifen and Dominion or an equilivent imidachloprid product would make more sense. They are different chemistries. I have never heard of any resistance issues with mosquitoes. In fact, most of the products that are used to kill them have not changed in years. In the cities and counties that do "fogging" or "aerial spraying" the chemicals are synthetic pyrethoids or a synethic pyrethrin. Natural pyrethrins are preferred by most companies that install automatic mosquito misting systems. Riptide being the #1 product on the market for misting systems. You can also spray Riptide as a surface spray. Using and IGR such as Nylar and Riptide or Bifen will give great results. Lamba will give you a longer residual. That's about it. So the answer is no. Using Bifen and Lamba products on a rotating basis will not stop resistance. How long after spraying is it safe for my dog to go into my garden? Once the spray has dried, it should be safe to allow the pets to reenter. This can be 30 minutes or several hours in some cases. I was mistaken in my research. I thought Lambda-cyhalothrin was a nicotinoid. The main point I take away from your post however is that unless I am dealing with prolific life cycles resistance really is not an issue to worry about but if I do want to do a rotation be sure it is a different class of insecticide. Yes, when a given insect population is capable of reproducing at a fast rate, and a given insecticide or insecticides that have the same mode of action are repeatedly introduced, those insects (through generations) that don't get a lethal dose will slowly develop a resistance that is passed to their offspring. This usually results in full blown resistance at some point in their future cycles.